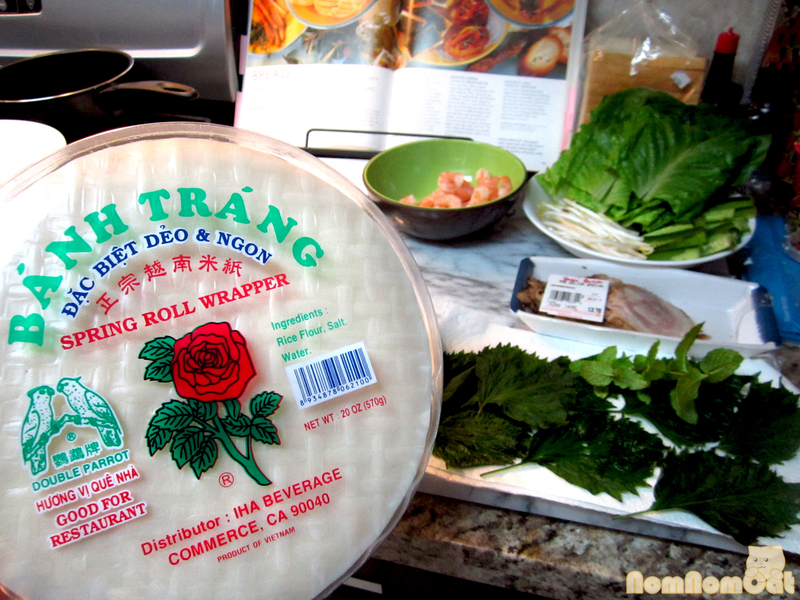 Gỏi cuốn, often translated as spring rolls, summer rolls, or salad rolls, are handheld rice paper wraps filled with vegetables, herbs, and goodies. Martin particularly enjoys nem nuong cuon a la Brodard (we get at least a dozen every time we visit the OC) but I don’t discriminate – I love ALL goi cuon with just about any filling. Prepackaged or DIY, spring rolls are the perfect summer food since they are light, refreshing, and easily customizable. We recently came into some fresh cucumbers and perilla leaves from a friend’s garden, so a fresh batch of goi cuon for dinner is in order. I’ll be honest, my rolls at home are often very simple with minimal filling — for no reason other than I’m too lazy to purchase a variety of vegetables and be held responsible for using them before they go bad. 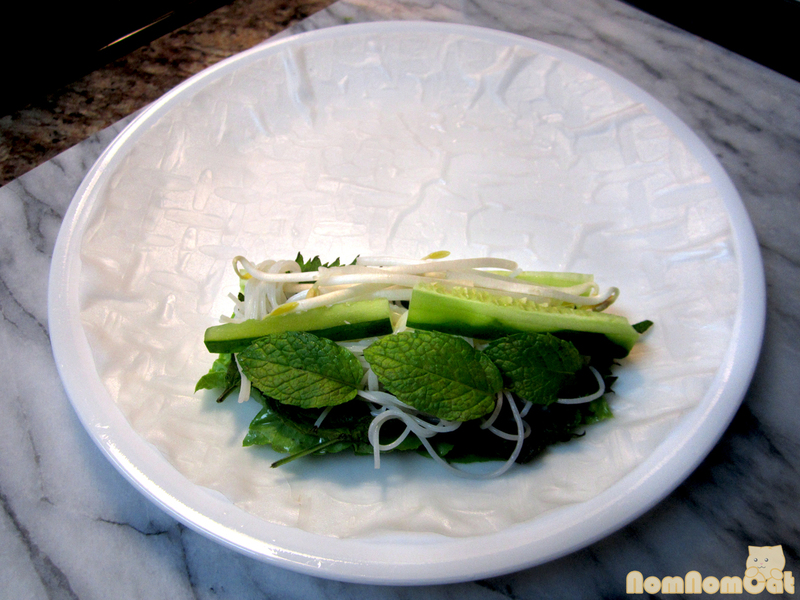 Traditional goi cuon are often filled with boiled shrimp, pork slices, lettuce, vermicelli rice noodles (bún), and mint. 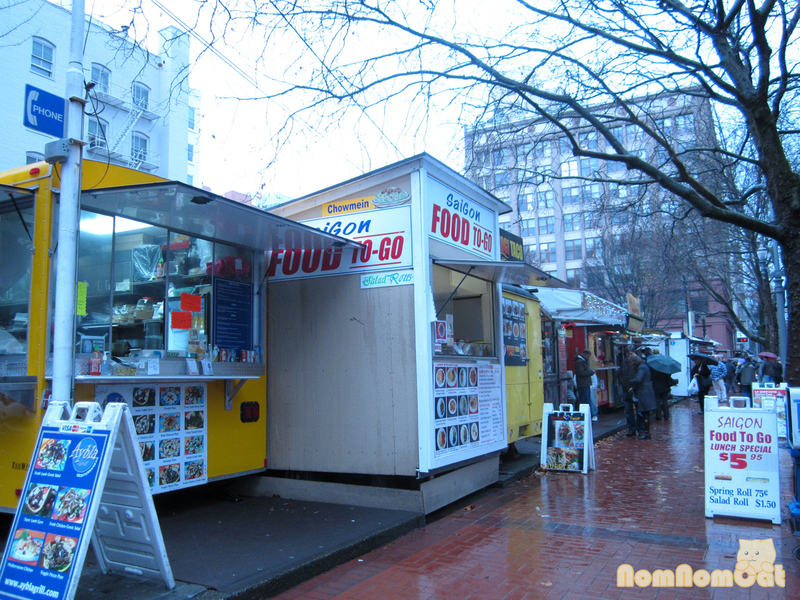 Optional add-ins include julienned cucumber, grated carrots, and bean sprouts. As we mentioned earlier, some places roll up strips of grilled pork patties called nem nuong and Brodard in particular substitutes crispy fried wonton & scallion rolls for the vermicelli. 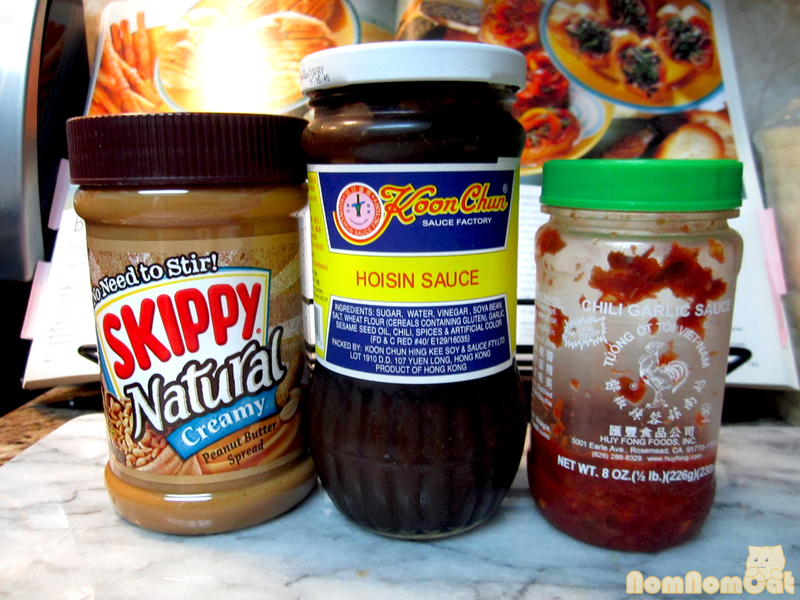 The sauces vary as well, from fish sauce based to peanut butter & hoisin. 1. 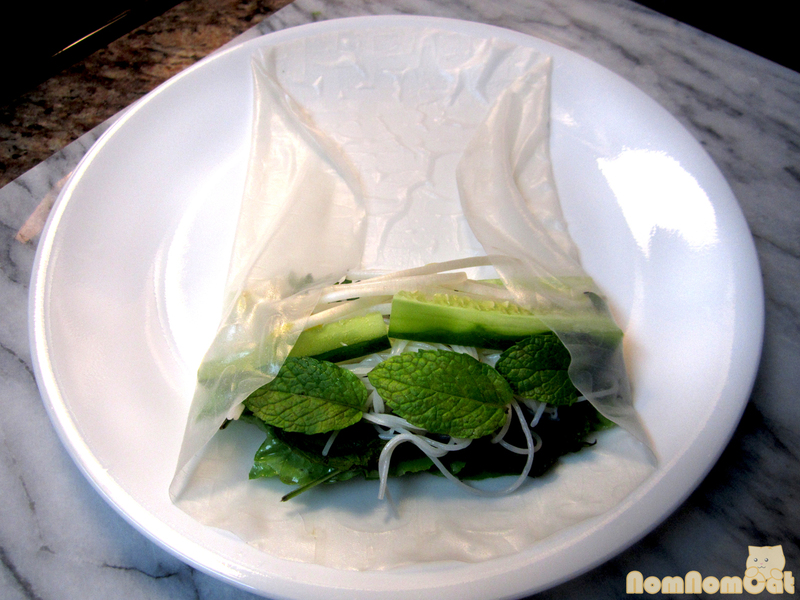 Rice Paper (Bánh Tráng): Not all packages of rice paper are created equal! Depending on the brand you purchase, the paper may be too thin, too thick, or just right. Some are slightly salted and some are completely bland. 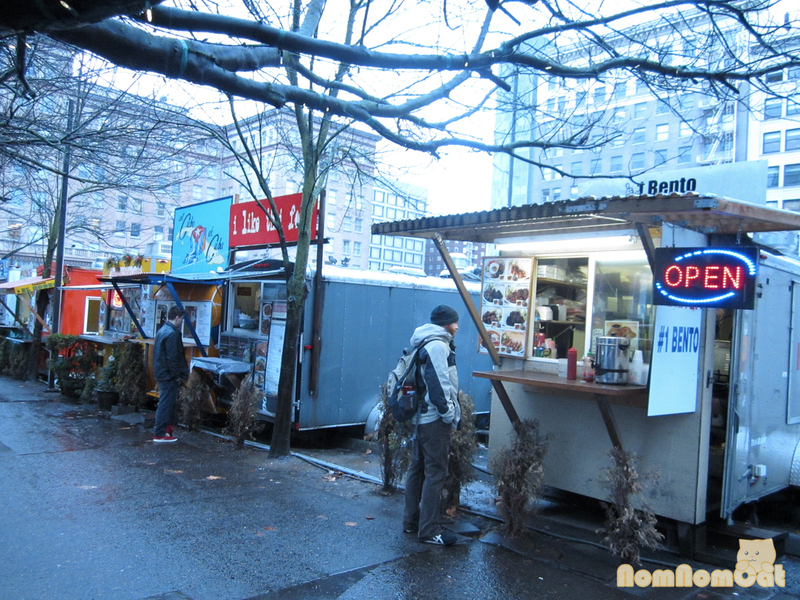 Some even have slivers of bamboo from the drying racks (they’re not dangerous; just pick them out if you see them). I’ve noticed rice paper at regular ol’ neighborhood supermarkets (Ralphs, VONS, etc.) in the “International” section, but of course you could find more brands and size options at an Asian grocery store. My favorite is the one with the rose (bông hồng) on the center and the double parrot (hai con két) symbol on the left. Regardless of the brand, be sure to get the kind that’s sold in round clear plastic packages to avoid the disappointment of broken sheets of rice paper common to the bagged kind. 2. Mint (Rau): These are optional but highly recommended. 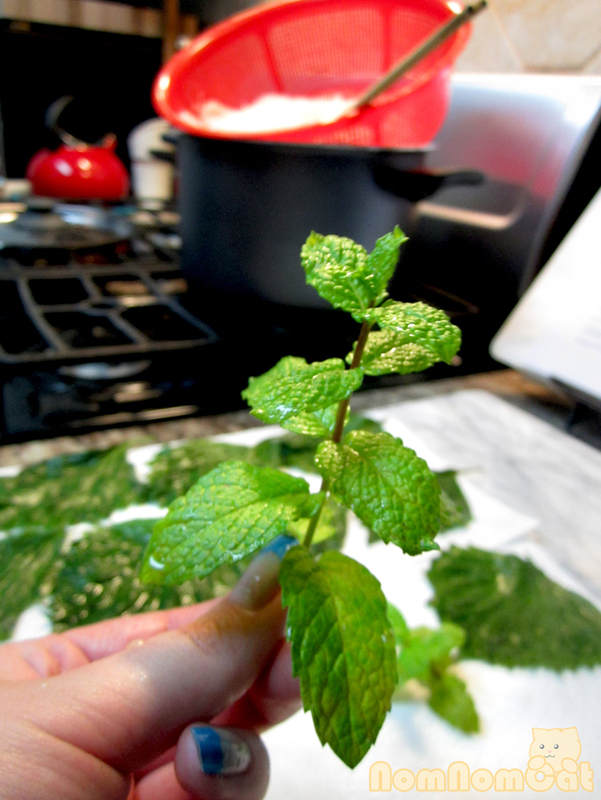 There are so many different kinds of mint, but my favorite for spring rolls are spearmint (rau húng lủi), spicy Vietnamese coriander (rau răm), Thai basil (rau quế), and perilla (tía tô). 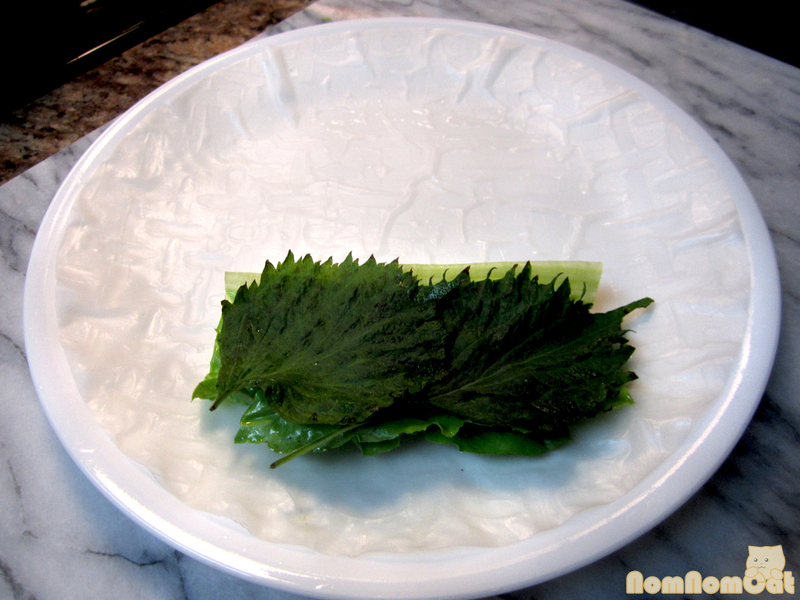 Shiso leaves, which were gifted to us, are a variety of perilla that is all green, but the Vietnamese tía tô is usually purple on one side and green on the other. 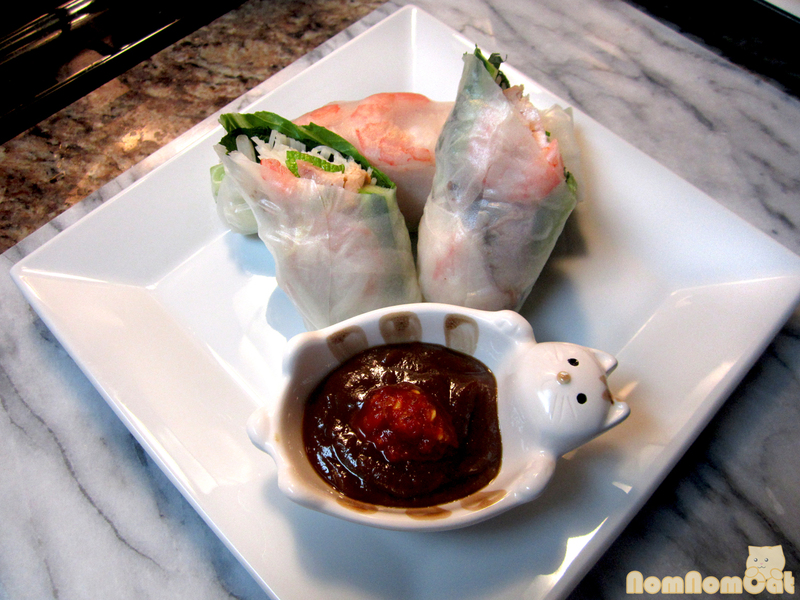 Luckily, they share a similar fragrance, so for the purposes of this spring roll, they are interchangeable. If you’re having friends over to roll their own spring rolls, it would be nice to put out a smorgasbord of mint for sampling and experimenting. Questions? Check out this awesome guide (that is, until we have time to create our own)! Boil the shrimp in salted water until the flesh just turns opaque, about 1-3 minutes. 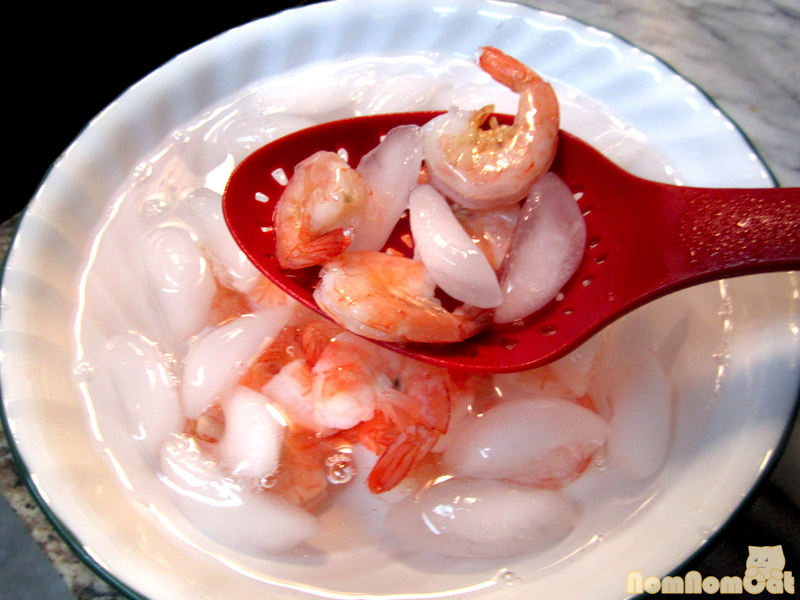 Using a slotted spoon, scoop out the shrimp and shock them in a bowl of ice water. Drain and set aside. 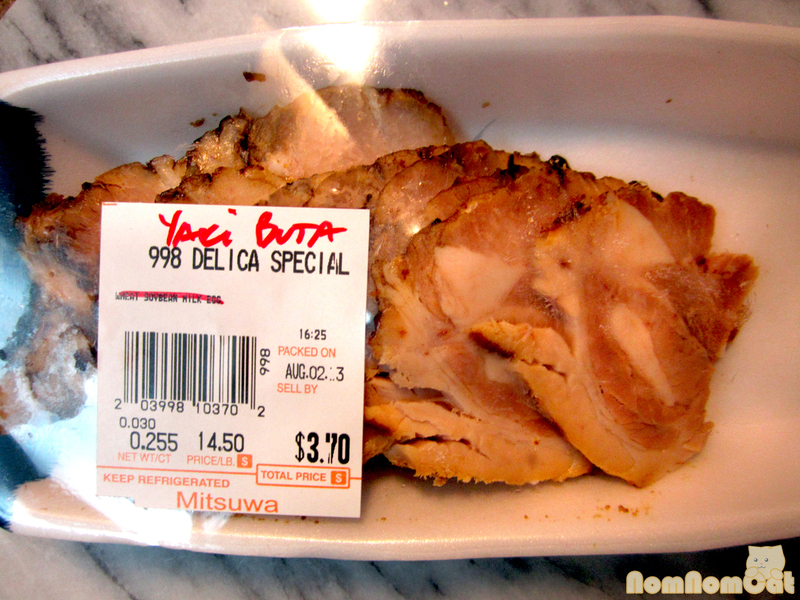 I was at Mitsuwa, a Japanese grocery store, and found these delectable slices of chashu pork. 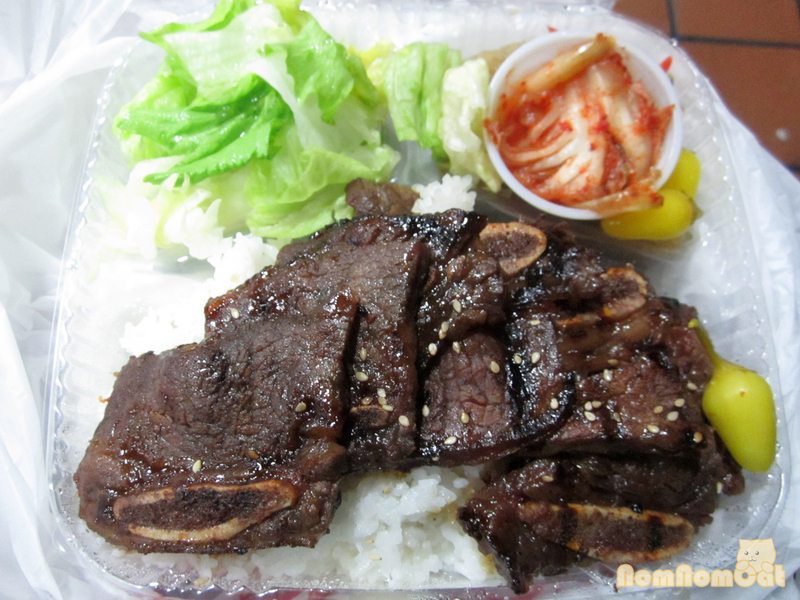 Instead of a steaming bowl of ramen, however, these slices were fated for something much more healthy. If you are using your own pork, simply boil in water until cooked through, let cool, and cut into thin slices. 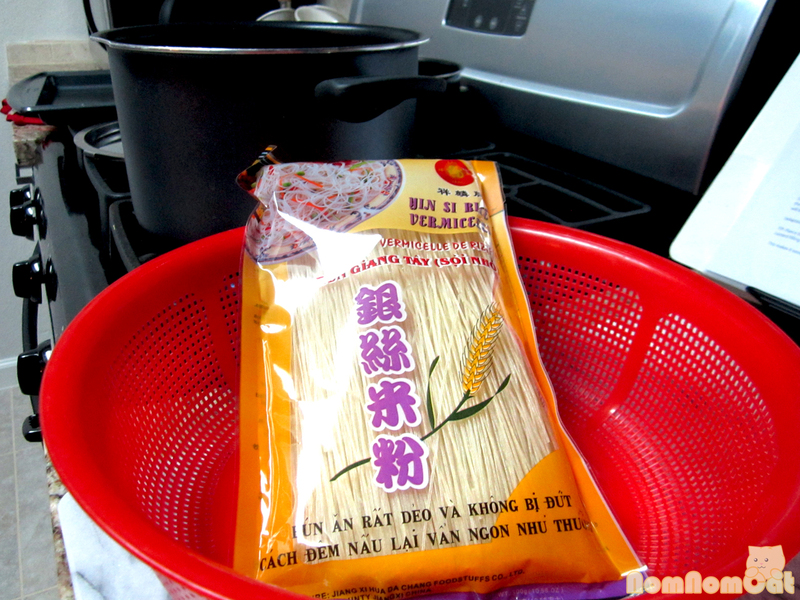 Cook the vermicelli according to package instructions. For thin noodles, about 2-3 minutes in boiling water should suffice. Strain and rinse with cool water. Set aside. 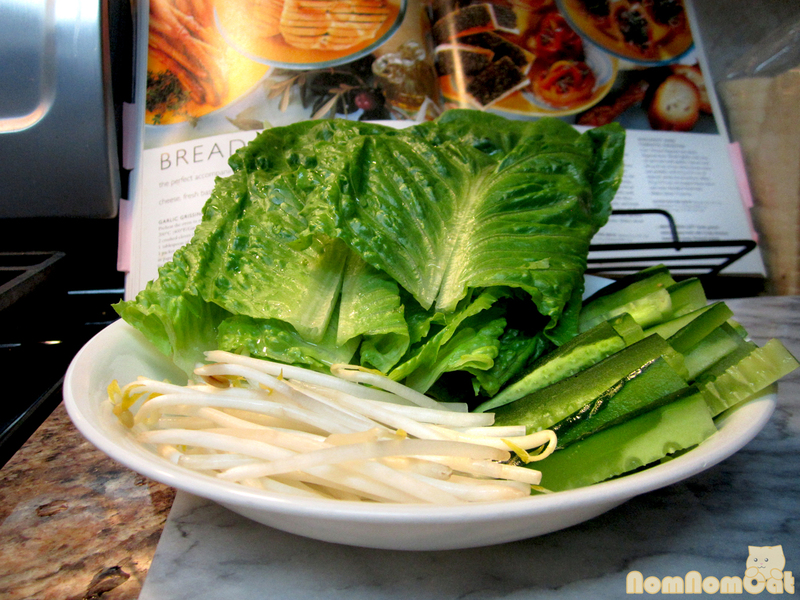 Prepare the vegetables and arrange on a nice platter, if serving DIY style. If you plan to roll them all at once, just set up your mise en place. Rinse the mint thoroughly in cool water. I like to fill a plastic bowl with water, gently push the leaves down a few times, rinse, and repeat about 3 times total. Shake onto sheets of paper towel to dry. Next, prepare the sauce. Believe it or not, I had frequent requests from family to prepare this sauce when I was kid – in retrospect, it must have been my first signature dish. 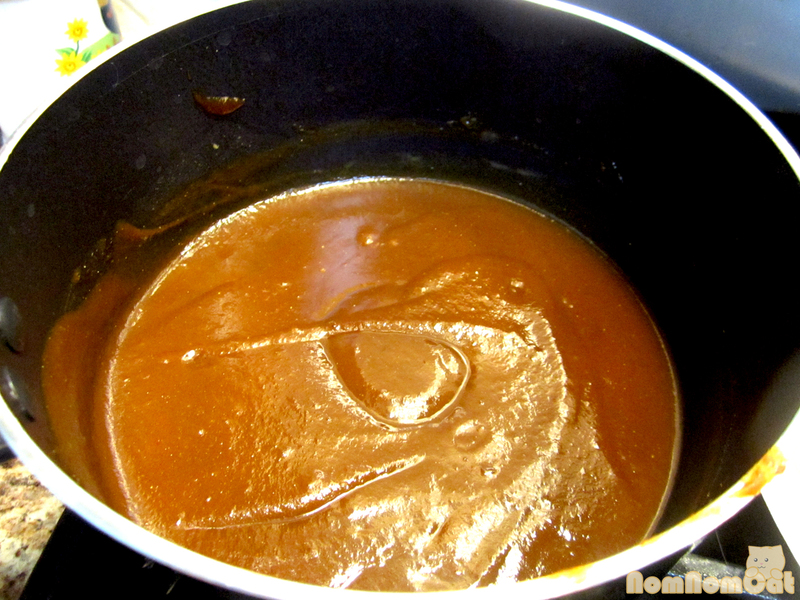 In a small saucepan on medium-low, heat the hoisin sauce, peanut butter, and about 2-3 tablespoons of water. 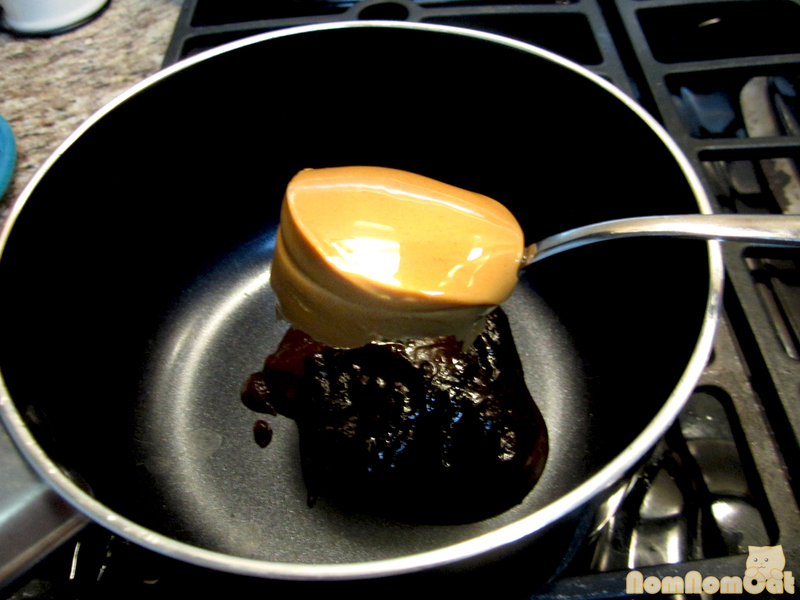 Stir constantly so the peanut butter does not burn. Cook for about 2-3 minutes or until the sauce has warmed up enough to whisk together well and the consistency is to your liking. Add more water for a thinner sauce; I ended up needing about 5 tablespoons. Too sweet? Add another tablespoon of hoisin sauce. Remove from heat. All set? Now it’s time to ROLL! Fill a large bowl with hot water. Our tap heats up to near-boiling, but you’ll want a warm (but SAFE) temperature since you may be submerging your hands. 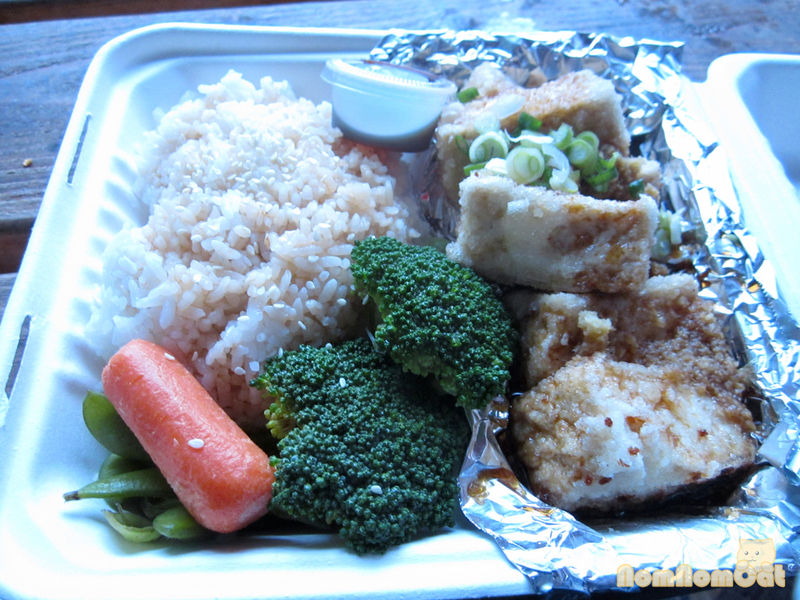 Dip a sheet of rice paper in the warm water and rotate to moisten evenly. Lay onto a dinner plate and let sit for 30 seconds. The water will soften the paper into a malleable wrapper. 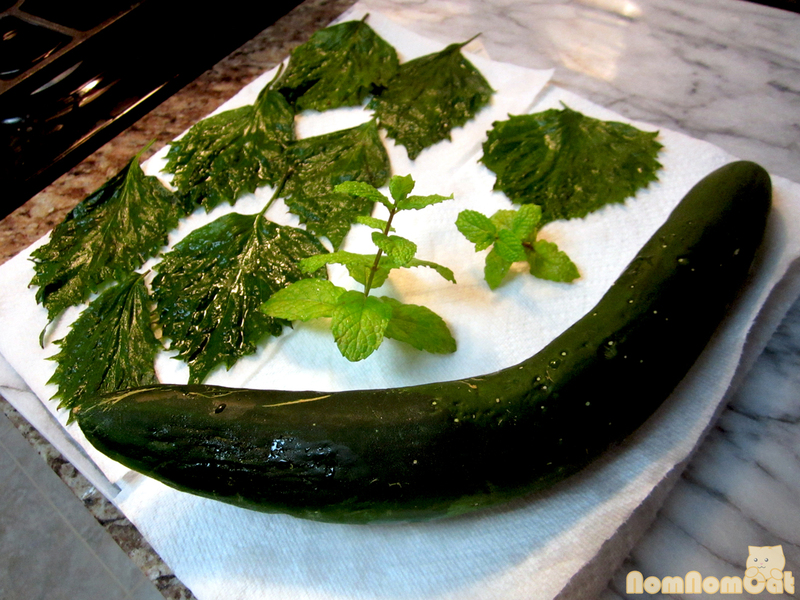 Arrange the vegetables, leafy ones first, along the bottom of the circle, approximately 1-2 inches from the edge. Leave room on the sides to tuck in the ends. 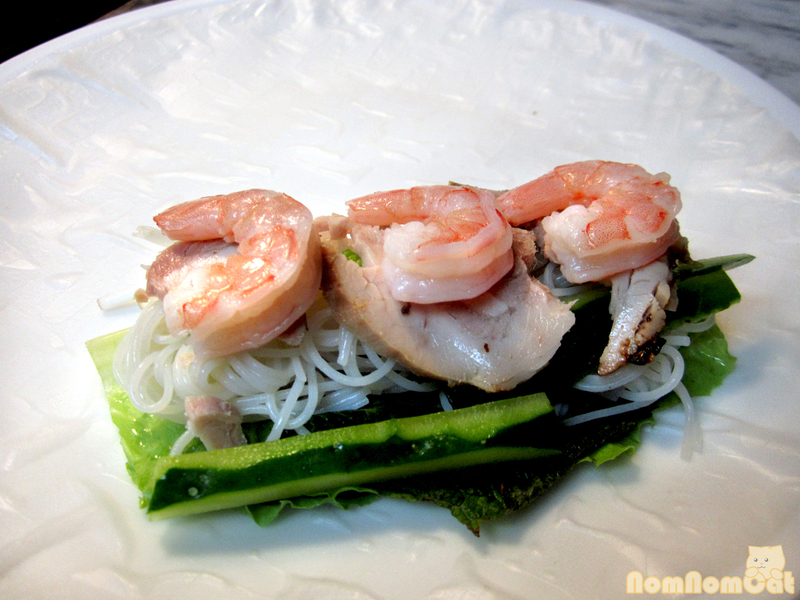 Top the leafy greens with vermicelli and the other vegetables. Fold over the left and right sides so that they overlap the filling. Fold up from the bottom and roll over once. 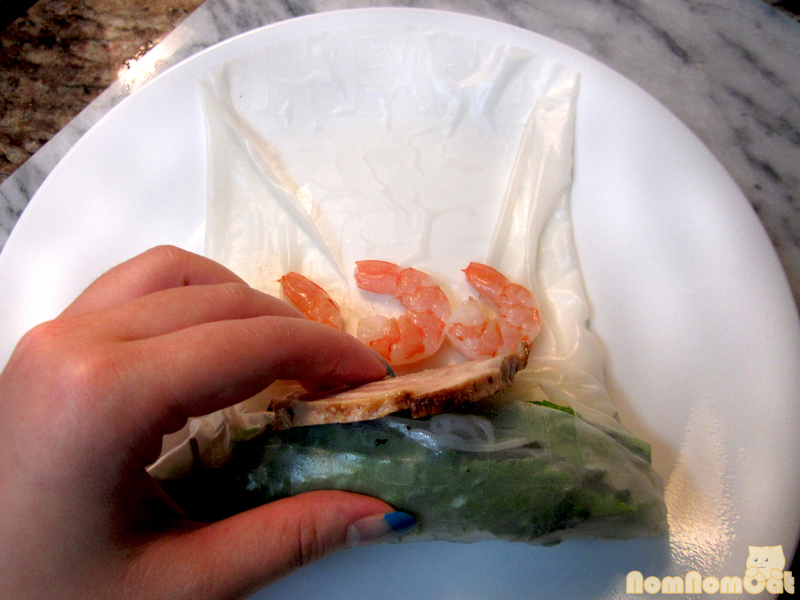 Arrange the shrimp on the rice paper. 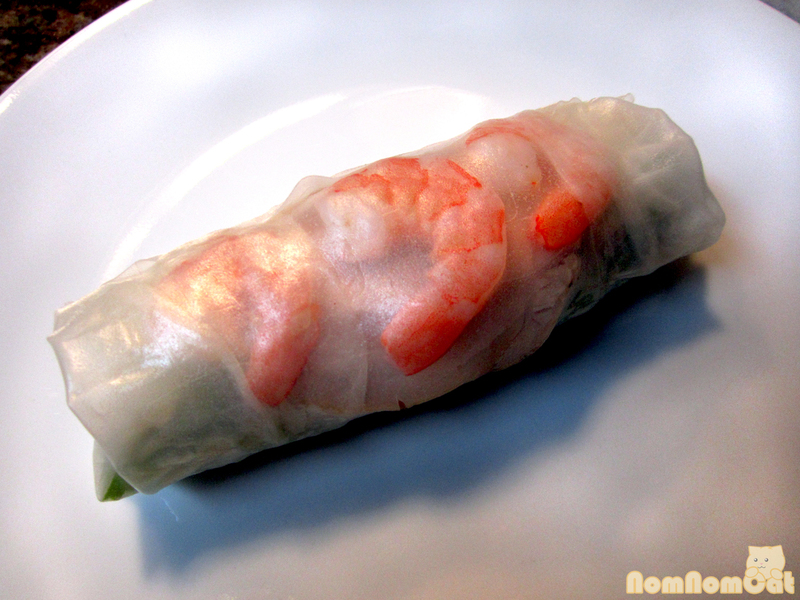 The first method makes for a prettier presentation since the bright pink shrimp are easier seen through just one layer of rice paper rather than multiple. But they most certainly taste equally delicious! Serving wise, I would plan on 2-3 rolls per person for lunch and 3-4 rolls per person for dinner. The ratio I provided for the sauce yielded enough to accompany about a dozen rolls. 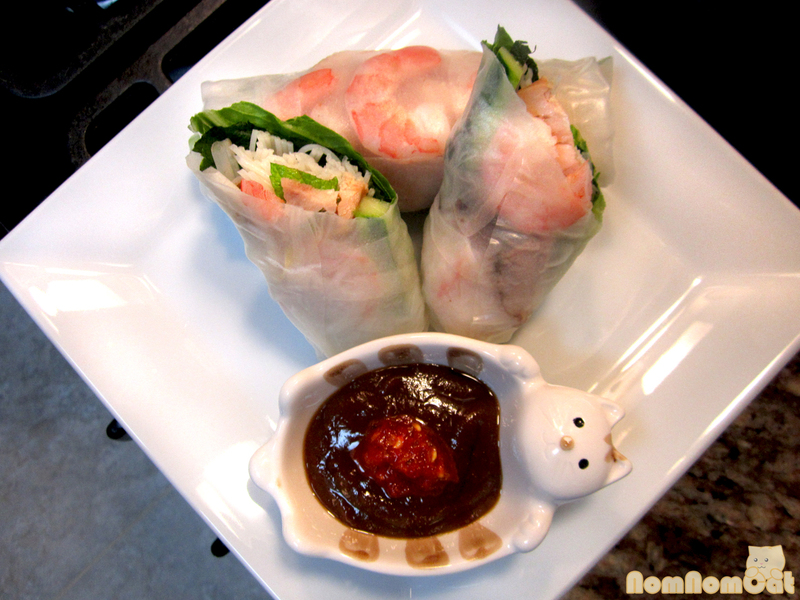 Spring rolls make for a great picnic item to take along on an outing to a park or beach to enjoy the summer sun. 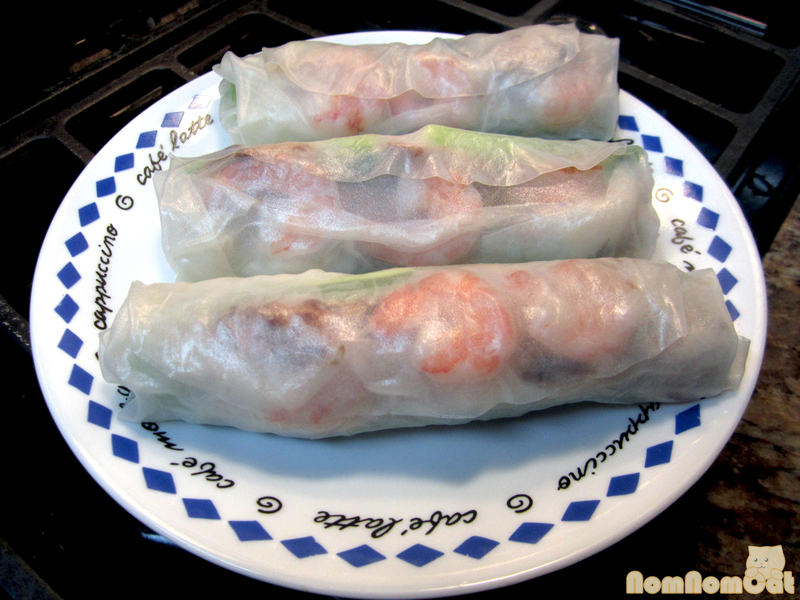 Just wrap them in plastic wrap to keep the rice paper from drying out. Easy peasy! Thanks again to our friend A for the fresh produce. Nothing like crispy, fresh homegrown cucumbers to really make a spring roll taste extra special. Cheers!